GNN MR is a good paid survey site and this is basically for Indian.Only few months back,I came to know about this website and inquired and found this is genuine paid survey site. GNN MR invites you to participate in its panel and help companies around the world to develop their products and services by sharing your opinions through the surveys. They value your opinions and time, you will therefore receive up to Rs 1000 for every survey you complete, all depending on the length and complexity of the Interview. To register, fill up the form and press the register button. You will then receive an e-mail containing your login details to access your Panelist Account, then update your personal information and see how much cash rewards you have in your account. You also have the option to unregister from the panel at anytime. Payment mode is through clickandbank and if you are not aware about clickandbank,do not worry,this is online bank and you can transfer fund from your clickandbank to your bank account and free to poen account here. Minimum payout is Rs 60 only so you can request everytime once you complete survey.Only demerits to this website is frequency of survey. 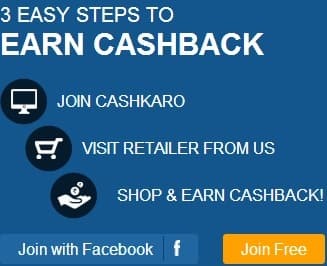 Till I find this site is very good to earn few hundred per month.So,if you find useful , join here.